In the world of education there are a wide range of approaches to learning- some have been around for centuries while others are new to the field. The Project Approach is a type of project-based learning that dates back to the 16th century. The practice understands a child’s natural curiosity and encourages children to communicate, problem-solve, and reflect. The Project Approach’s learning reaches out into each child’s home, community, and world because children are active participants in making sense of the world around them. The Project Approach involves a set of teaching strategies for educators to teach students about real-world topics. The projects are detailed, but flexible, as teaching and learning processes are constantly changing based on each individual child’s interest and needs. Within this approach, a project is defined as an in-depth investigation of a real world topic worthy of a child’s attention and effort. Each project can be conducted with an entire class or within small groups across preschool, elementary, and middle school settings. The Project Approach’s goal is to help students participate and contribute to a democratic society. It acknowledges and understands the idea of the whole child- one who must develop beyond mastery of concepts, but also socially and emotionally. This development is important for success in the 21st century. The Project Approach has three phases. The first phase initiates the project by having children share what they already know about a particular topic and finding out what they want to learn more about. During the first phase, questions are created by the children. The second phase is the investigation aspect where children observe, experiment, explore, and ask experts to help them answer their questions. The third and final phase is the culmination of the project where children and teachers decide how to complete the study and how the learning will be documented. The culmination can be a book, a movie, or an image gallery and in many cases family and community members are invited to learn about the project. Pictures and documentation allows children to be exposed to personal and social development, language and literacy, mathematical and scientific thinking, social studies, arts, and physical development. No matter what age level, each project has the same goal of engagement in active learning that is meaningful for each child. The Project Approach offers several examples for various grade levels. Some of the project examples for the preschool through kindergarten levels include the dog project, lunch project, and bug project. The dog project was completed by four and five year old children in a school in urban Philadelphia. Over a four month period, the children used photographs and text to create a project book detailing the steps along the way. The educators used community resources to maximize a hands-on study of dogs. This particular project was developed from the love the children showed for their teacher’s dog as well as all of the dogs seen throughout the neighborhood. Children were able to study dogs they saw on class walks by observing their actions and talking with their owners. In the classroom, children documented what they learned and any questions that arose from their conversations. Outside experts were also invited in to the classroom to answer and discuss the children’s questions. While the general topic began as a study of dogs it developed into subtopics such as dog grooming and adopting rescue dogs. The lunch project was a two month project undertaken by a class of three to five year-old children in Iowa. This specific project began when the teacher was discussing healthy foods with her children and asked them where they thought their school lunch came from. The teacher noticed immediately how little background knowledge the children had about this topic, but also how interested they were to learn. After seeing and meeting with a food truck driver, the children began creating and building their own food trucks, using details from the driver. The children also went to a middle school to visit the kitchen where the children were able to understand even more in-depth of where their lunch comes from and how it is made. The children took this knowledge and began kitchen role play in the classroom. Finally, the children created a movie showing the process of how food is received and lunch is made. The bug project was conducted in a mixed-age summer camp class in Maryland. The teachers incorporated the Maryland standards of learning into this project including math, language arts, science, and social studies. This project began by asking the children to write bug stories in order for the teacher to understand each child’s background knowledge. The children were also asked to write and discuss what they would like to learn about bugs. An outside expert was brought in to answer questions and discuss specific bugs in more depth. 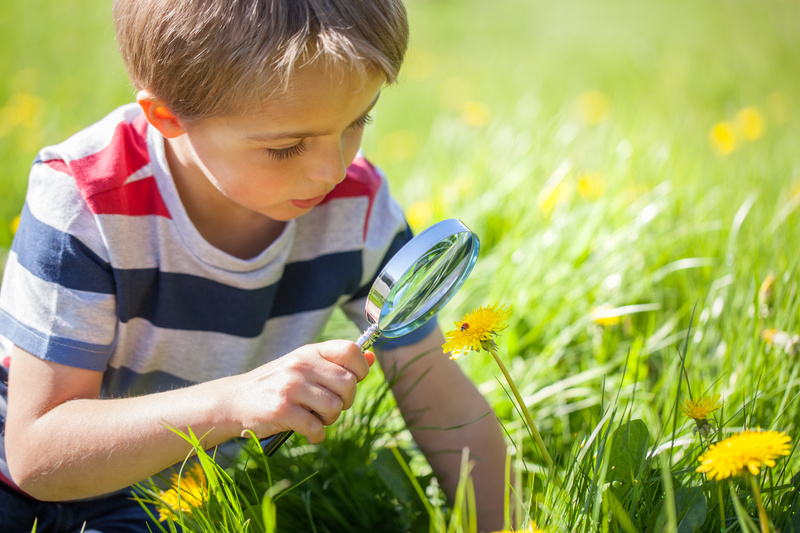 Children were then given time to investigate various bugs, both in the classroom and outside. Some children set traps so bugs could be collected and studied. Throughout the project, children began noticing that not everyone liked bugs, and from this observation a survey was created. As a class, the children created a display including the bugs the children had trapped and information on each bug. As these examples show, some of the projects were conducted in entire classrooms while others were done in smaller group settings. No matter the group size, each of the projects followed the three phases of The Project Approach and were successful in expanding the children’s knowledge based on their own interests. For more information on this project-based learning and teaching as well as additional resources visit www.projectapproach.org.